Retailers are working to better their online strategies in order to create a better brand experience and build a relationship with customers through an ever more personalised experience. Here are 5 ways to improve your engagement with your customers. 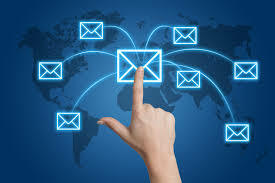 Your subject line is the most important part of your email campaign; it is largely what determines whether your subscriber will open your campaign to reveal the wonders within. Here are ten examples of some irresistible subject lines that could help improve your open rate. 1. Make it easy to become a subscriber on your website. Try to avoid long webforms with multiple questions, make it simple and fast. 2. Engage with your customers offline and give them the opportunity to register easily to leave their details and register to your newsletter. 3. Arrange a competition with an incentive for participants to involve their friends. Use social sharing tactics to register additional customers to your database.